Once I was done with the final vector illustration, my dad helped me with printing. 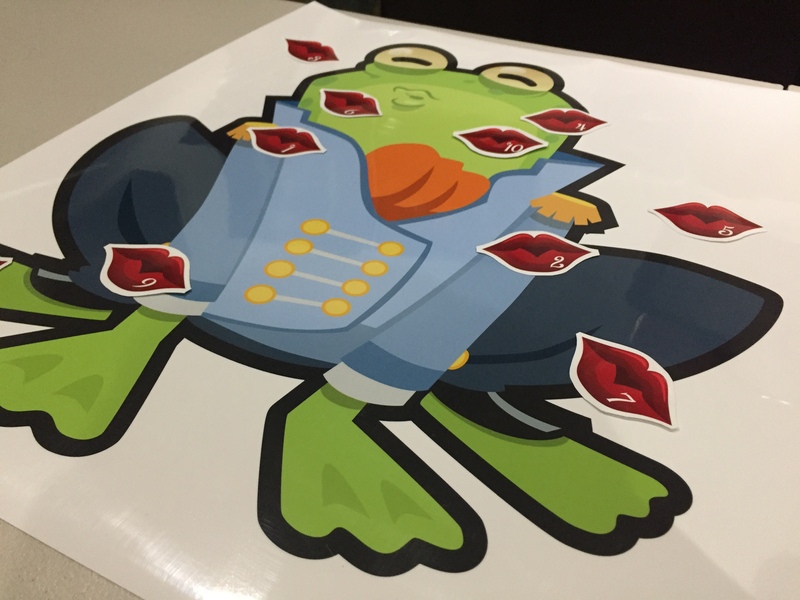 We added a layer of clear laminate to both protect the print and keep the sticky lips from damaging, or sticking permanently, to the image. 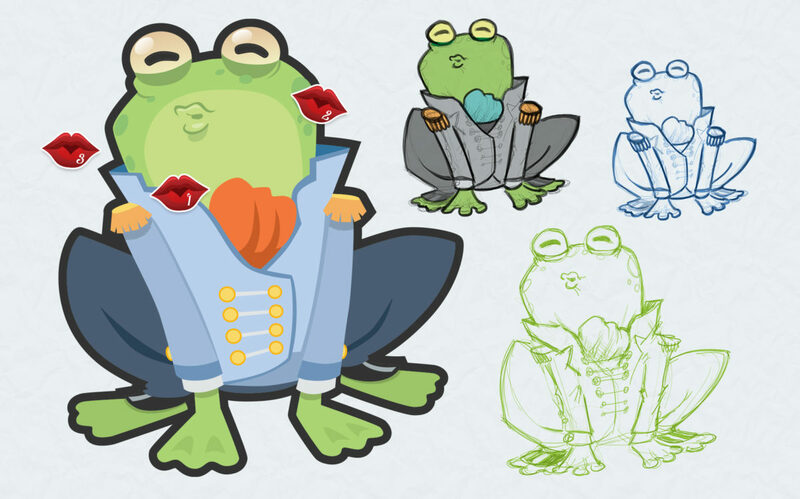 That said, we printed ten lips along with the frog prince. Each pair of lips has a number on it, from one to ten, along with some double faced tape on the back.